It’s the Cheeseburger Head Mask! Really, the cheeseburger mask is good all year round and is surely appropriate for any situation. It will certainly go over well during your next business meeting. First date? Make an impression! Gotta run some errands and go to the bank? This will help you stand out in a crowd (or police lineup). 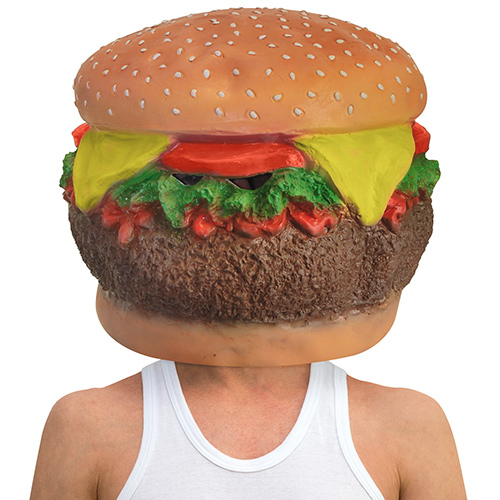 Consider the burger mask an investment. Only $39.99 for your future. Money well spent. If you’re gonna stick something in your mouth, it better be tasty, right? 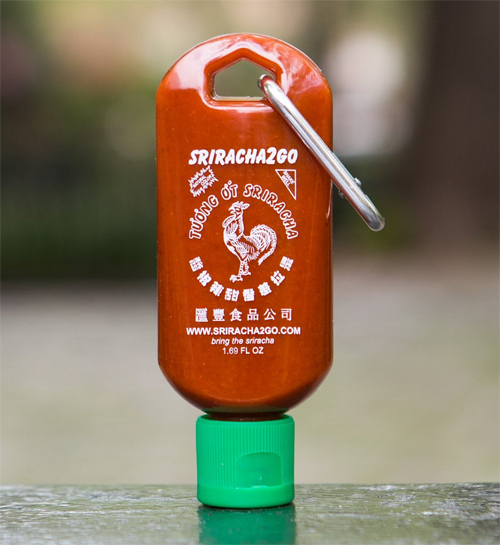 The list of things that may be now includes toothpicks. Not only are these flavored toothpicks we are talking about, they are double-flavored toothpicks — and that’s not counting the meal you are picking out from between your teeth! 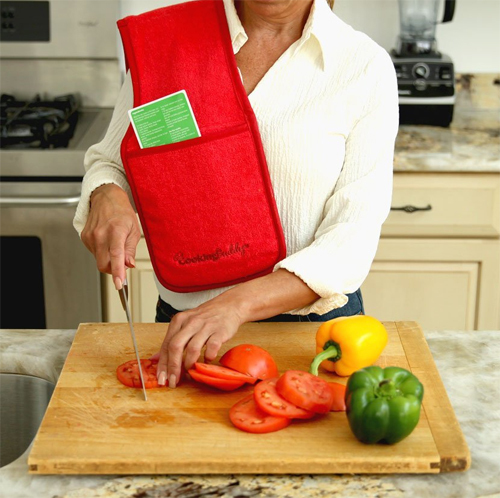 The Kickstarter project is in need of your help. 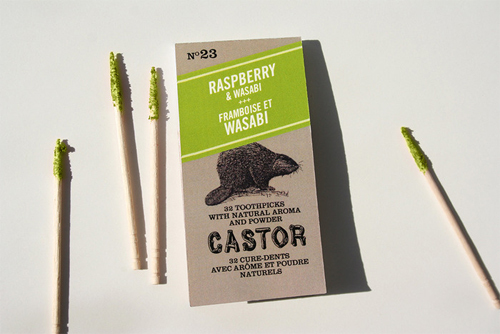 However, judging by the response so far, the Castor Double Flavored Gourmet Toothpick by PhoodStation doesn’t need your help all that much. Up to now, the market for flavor powder on flavored wood has been grossly underestimated. You’ll have to wait before you can sink your teeth into one sink one into your teeth though, as the estimated delivery isn’t until October 2014. Click through to find your favorite flavor. Yes, of course there is bacon. However for some terrible oversight, there does not appear to be a cinnamon toothpick on the list. The soft, stretchy fabric contains micronized caffeine that stimulates lipolysis, the natural breakdown of stored fats, while the embedded brown algae moisturizes and smooths skin. Not only will Taco Bell rule the future landscape as predicted in Sylvester Stallone’s “Demolition Man,” but the restaurant chain will also reign over our fashion choices. And the future is now. 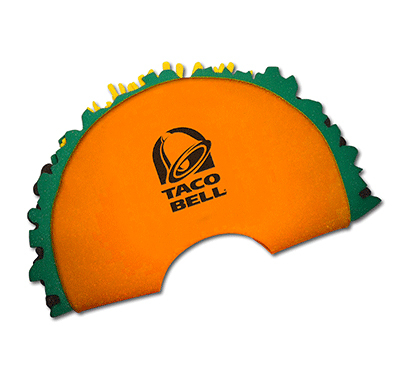 Above, we see the ever-so-elegant Taco Bell Rings, while below, no self-respecting individual would be caught outdoors without a proper Taco Bell Foam Hat. Luckily, both fashion must-haves are available today. 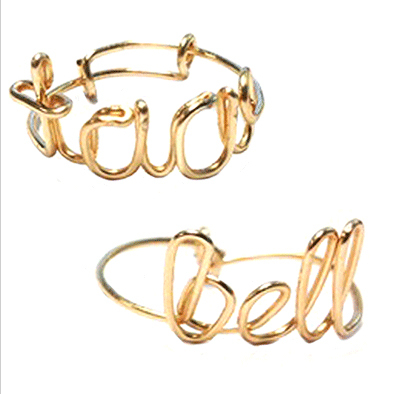 And even better news, the Taco Bell merchandise has free shipping on orders of $100 or more. That way, you can stock up and make sure your crew looks as good as you do.